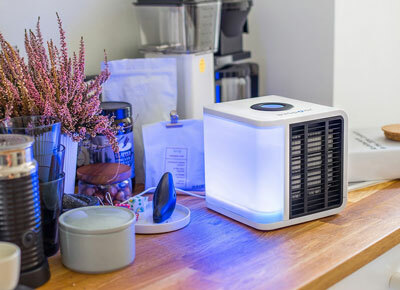 Evapolar is a device that you can place in almost any room to create a small microclimate. Rather than using a simple fan you could have access to a miniature personal air conditioner that can quietly and efficiently cool small spaces throughout the house. 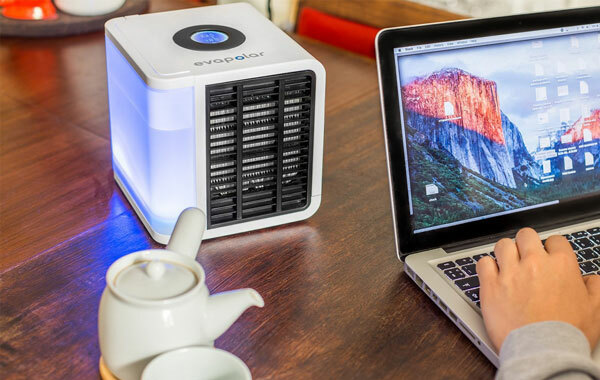 With the Evapolar (https://evapolar.com) Evalight and evaSmart devices you can get a 3m² or 4m² cooling area from a small and very portable machine. The idea of one of these devices is to create your own comfort zone. They are designed for cooling down a single workspace, a sleeping area or even a small camping tent. Evapolar devices require just one tank of water and they can operate between 4-8 hours depending on the settings of the device. It’s possible to decrease the air temperature all the way down to 17°C within a 3 to 4 m² area. This can be particularly powerful for improving your sleep conditions, for cooling down your workspace and more. There has never been a personal air conditioner quite like this one and although it can be around half the price of a large in room air conditioner brand new, it can deliver some incredible results with in its miniature zone. The intuitive controls offer over 20 speed settings and it can even be controlled over Wi-Fi to help users turn the unit off and on when they aren’t at their desk or in the room. The lighting features onboard can also really set a fun and unique mood. LED lights & wisper-quiet operation – the sound level could be controlled as the user likes allowed by fan speed which is precisely adjustable. Easy to use & portable – enjoy refreshing air could be really easy using Evapolar with just two simple items: the water-filled tank and a power source which could be power bank, laptop or any other USB power supply. Responsive care – fully biodegradable evaporative pads are used in the device along with no toxic Freon-like liquids. Also, no organic material is carried due to the new evaporative material used in this air conditioner. Saving money & energy – mineral nanofibers with high hydrophilic capacity are the material used to make what is inside the air cooler which is EvaBreeze Material. Saving the energy is also possible due to the low consumption of energy by device (only 10W). That’s because within cartridge pads water goes up naturally without needing any water pump. The only real drawback to Evapolar devices is that the water tanks require consistent refilling. On a warm day it’s likely that you’ll have to fill them up at least every 4 hours. In most cases they can’t be expected to run over six hours of time without a refill. The water tank is only 750 mL and it doesn’t come with any type of warning when the tank is running low, you’ll simply just feel the device stopped working. Future Evapolar devices could come with a cartridge replacement warning but for now, it is a perfect little air conditioner for cooling a small area. Also, there users could read more real customer reviews from Amazon buyers who have actually bought the device and written their comments and feedbacks on the page. Sometimes the product could be unavailable or temporarily out of stock. 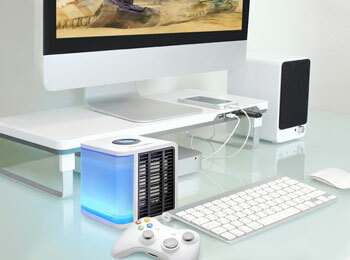 Please check soon as they make this portable air conditioner available soon due to its high popularity.